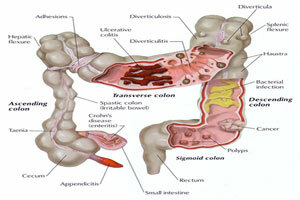 Colon diseases can be healed using juice or water fasting. Colon diseases can be helped by juice and water fasting, supplements, eating natural foods, exercise, enemas and colonic. During a fast digestion stops, and with an enema the colon has the opportunity to heal without the stresses and irritation of digestion. Read how Gray Hodge lost 26.5 lbs., healed arthritis, continual colds, poor health and …bowel problems.